Working on details. Lenovo's ThinkPad T450s steps in big shoes. 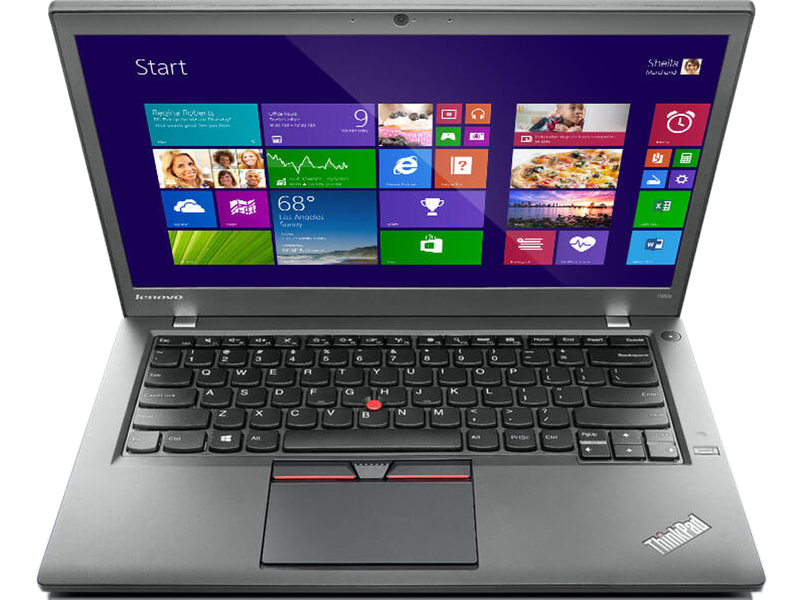 The expectations are high that the successor of the overall successful T440s is even a bit better. In fact, the T450s proves to be a carefully matured perfectionist - and it now challenges the competition from HP, Dell & co. The return of the old master. What can be improved in an almost perfect notebook? Lenovo might have thought that it is better not to change too much and launched an only slightly revised edition of the T440s with the ThinkPad T450s. At least, the manufacturer (partly) answered the complaints about the predecessor's unusual five-button ClickPad. Можно сказать, что Lenovo ThinkPad T450s получился достойным преемником. Компактный и легкий бизнес-ультрабук хоть и не сможет похвастаться особенной внешностью, все же порадует хорошей производительностью, отлично продуманными устройствами ввода и расширенным набором беспроводных модулей, а также длительной работой от аккумуляторной батареи и быстрой обработкой данных. Более того, устройство имеет матовый 14-дюймовый дисплей, яркости и контрастности которого хватит для бизнес-задач. В общем, если вы охотитесь за надежным ноутбуком, который не только не создаст лишних проблем, а наоборот, решит ваши, то ThinkPad T450s можно рассматривать в качестве удачного варианта. Хотя ценник около $2100 за данную комплектацию заставит серьезно поразмыслить над покупкой. I own an earlier version of this computer and love it. Lenovo updated it in all the right ways, replacing some of the function keys with dedicated keys for settings, search and task switching instead of a pair of keyboard backlight brightness. They sped it up with newer specs and a faster SSD. At the same time we get the same great keyboard and overall design familiar to ThinkPad users. Although not as slim, sleek, and light as a consumer Ultrabook, the Lenovo T450s means business. Enterprise customers will appreciate the diverse selection of ports, long battery life and user-replaceable batteries, and an optional fingerprint scanner.